Delicious (and healthy) banana zucchini coconut bread recipe that’s perfect for brunch, a quick snack or a treat when you want one. I’ve reduced the sugar, removed the oil, upped the protein and mixed flours to make this a healthy version of an old favorite. Give it a try! Combine the dry ingredients in one bowl. Beat the wet ingredients together in another bowl. Gently combine the dry ingredients with the wet ingredients. Add the chopped nuts if you decide to use them last. 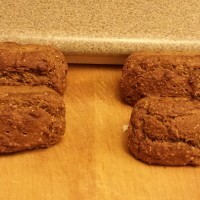 Pour the batter into the loaf pans. Bake 60 – 70 minutes. Keep checking bread using a toothpick until it comes out smooth. It may take a little longer to cook depending on how much batter is in each pan (I fill it about ¾ to the top). 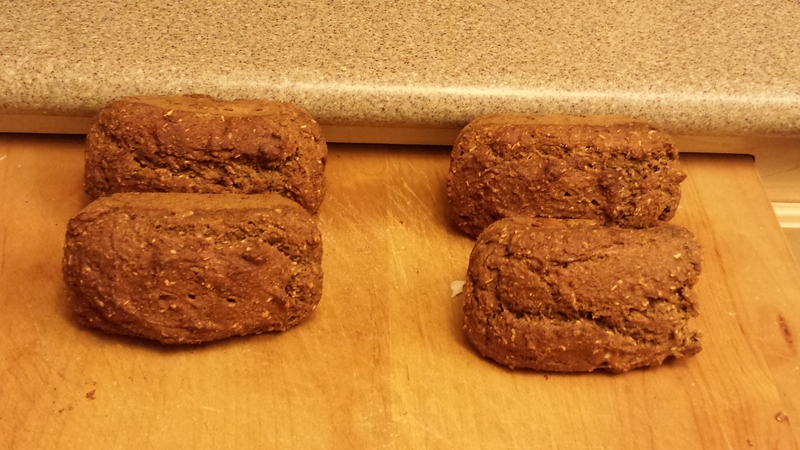 Be careful not to cook too long though, otherwise the bread may be dry. Keep the bread you plan to eat in the refrigerator to cut down on spoilage. You can freeze the rest! 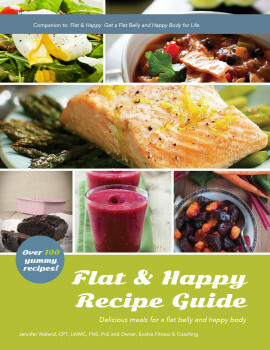 My Flat & Happy Recipe Guide is filled with meals that taste good and are good for you. Available in print, PDF and iBooks format.